I am sharing my thoughts in this article, not necessarily as the governor of Lagos State but as a Nigerian; a Nigerian who wants to see progress and sustainable growth in our country. I am lucky to be administering a State that has been put on the right track by my two predecessors, Asiwaju Bola Ahmed Tinubu and Babatunde Raji Fashola (SAN). I do not think I have done anything special except to bring to this my own style of leadership, my own experience and my vision. Lagos, as it is, has not reached its peak but we can see signs of progress and positive transition to the Lagos of our dreams. What bothers me personally is that I do not see the same level of progress elsewhere in the country. I am not happy that most states in our country are not advancing like Lagos is. It will be unfair of me to think that because Lagos is functioning, then I can go to bed and assume all is well. If only one man is prospering in a village, then it is not progress. Rather, that man is in danger. According to the statistics released by the United Nations, by 2050, Nigeria is projected to have the third largest population in the world, with two-thirds of the population today below the age of 35. What are we doing today about this? What are we planning to feed them with? How are we going to provide them with jobs, housing and infrastructure? How are we planning to make the country self-sufficient and self-reliant for the future? One of the key instruments to the permanent prosperity of Nigeria lies in the hands of the 109 senators and 360 representatives in the National Assembly. I just want to plead that we should be open-minded and forward-thinking; we should think about the teeming millions of youth, from Kano to Ibadan, Zungeru to Warri, Jalingo to Yobe, Umuahia to Calabar, and then back to Lagos. We must give serious consideration to what we intend to bequeath to them. In my opinion, the prosperity of this nation lies with the states. We need to get the states and regions working again and the only way we can unleash the potential of the state is for our representatives at the National Assembly to help their individual states take the next step and move to the next level. In the past, there used to be positive rivalry and competition among the regions prior to the entrance of the military into the national governance. The military split the nation into states and moved the control of all the resources to the centre for their own administrative convenience. Now that we have experienced democracy, I think it is time for us to sit back and think, for the sake of those who are older than us and for the sake of our children, and even those yet to be born. We need to raise our voice in support of the demand for devolution of power to states and fiscal federalism, especially the review of the current revenue sharing formula. These, in my view, are fundamental and critical to creating an enabling environment that will accelerate development in all parts of the country. The ongoing process towards the review of the 1999 Constitution presents a golden opportunity for us to redress all the aberrations created by the interjection of the military that have stunted growth and inhibited the capacity of states to harness the huge potentials of our nation. Even with the kind of resources we have in Lagos, it is very clear that there is a huge infrastructural deficit in the State. In addition, the resources are not so huge as to make Lagos globally competitive and deliver the social infrastructure we all crave. So where will the money to drive the Lagos of our dreams come from? The economy is not doing as well as we want it to. We cannot tax the people any more than we are doing presently, but we have to become more efficient in tax collection because that is the major source of revenue with which we can protect the future, as well as improve the welfare and well-being of all Lagosians. This takes me to the kind of reforms that we have embarked upon in the last two years. We made security a priority. Our goal has always been to deliver a clean, safe and prosperous Lagos. I want to use this platform to thank the private sector and the corporate Lagos who have been wonderful and have been silently supporting us in the provision of security equipment and infrastructure to our security agencies. Because of them we have been able to improve the performance of our security agencies but we will not take them for granted. On Cleaner Lagos Initiative. In the last two years, we have found out that Lagos generates one of the highest waste in the world. At the last count, documented waste in Lagos was estimated at 13,000 tonnes per day. Considering undocumented statistics, we can add an additional 4,000 tonnes per day to that figure. Now, if we want to be revolutionary, if we want to be globally competitive, if we want to deliver on the promise that I made to accomplish a clean, safe, and prosperous Lagos, we cannot use the same template that has been in use from the past. Cleaning Lagos and keeping the environment clean has nothing to do with environmental sanitation and putting your economic productivity at a standstill for three hours every month. That will not clean Lagos. Cleaning Lagos means we should give Lagosians scientifically treated land fill sites, transfer loading stations, functional dyno-bins, functional compactors, brand new materials and also be able to employ more people. 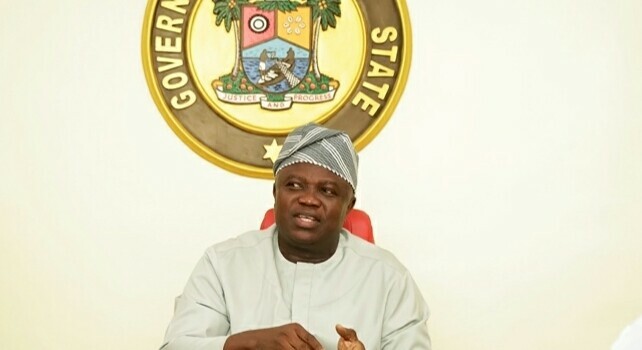 That is why I extended my hand to the private sector for a partnership that will lead to the introduction of 500 brand new compactors, employ more than 27,000 street sweepers across the various wards in Lagos and create 200,000 indirect jobs. And we are commencing this in another few weeks. I fully appreciate the concerns of the people who have been cleaning Lagos in the past years. I do not take them for granted, neither am I going to ignore them. The new model is a win-win for all of us; I have offered them a 100 percent income from the commercial enterprise, so that our private sector participants (PSPs) can gain capacity and also get more capital to do more work. There are over 5,000 companies in Lagos – enough to go around all the PSP operators, with a minimum of 15 companies to each PSP. The government can support them to make their contract with those companies bankable. So, while we are using the Cleaner Lagos Initiative to clean private residences and domestic refuse, our original PSP operators are compensated by dealing with companies and getting 100 percent revenues with just one percent administrative charges to Lagos State Waste Management Authority (LAWMA). In the past, LAWMA collected 40 percent in charges. This reform is a product of deep thought and serious human consideration for the environment and all stakeholders. We promise Lagosians that effective from September – within six months – they will see the difference. All they need to do to help us achieve this goal is to cooperate with the government and pay the annual public utility levy in accordance with the law. This is what will fund the project. Our bins will be cleared systematically on a daily basis. The same way the refuse on Adeola Odeku is cleared is the same way refuse in Badagry, Ayobo, Agege and other parts of Lagos will be cleared. In the transport sector, we have decided that to integrate our rail, road and water transportation systems, it will take time; but I believe in the philosophy of Think It, Plan It and then Act It. Sometimes, people can be impatient and say we are not responsive, but the issue is that when you run a government, you cannot run a reactionary government. We are running a responsive government which is one of the tenets of good governance. We must and are expected to think through all our policies properly and to the end before planning and executing. The difference between the thinking time, planning time, the execution time and the action time demanded by the populace is what makes people cry out. There are a lot of things coming up under the bus reforms initiative. We are introducing new bus terminals; there are already new terminals at Tafawa Balewa Square and in Ikeja. We are constructing more in Yaba, Oyingbo, Mile 2, Ojodu Berger, Ogba and Agege. All these things will be in place before our new buses come in February 2018. We are doing a lot on water transportation also. We want to make sure that everyone is able to move from one place to another. Like the transport sector, we are doing new things in the health sector. We do not have enough General and Specialist hospitals. From Lekki to Epe, there is no General Hospital along that axis and we need to do something about it. More Specialist Hospitals are coming up but the government cannot do it alone. My take is that the private sector needs to come on board. The private sector is at the front burner of what we are doing and we have a management team made up of experts from the private sector. We welcome ideas and projects that can bring value to the majority of Lagosians. We believe strongly that value is driven by its impact on humanity and that is what all our story is all about. We love the criticism that Lagos is the second least livable city. It is a challenge to us and we are working on disproving the fasle basis of this ranking, but people forget that the major considerations for this classification are terrorism and crime, which I believe we do not have in Lagos. I am passionate about Lagos. But I will not compare Lagos with Melbourne. What is important is that we are making some giant strides, positively affecting the lives of our people and even receiving accolades for what we have been doing. There is still a lot more to come and in another one year, I believe that people will see that Lagos has taken proper shape. I am a good listener and I appreciate objective criticism. I read and listen even though I often do not respond. Lagos is the most thriving cosmopolitan city right now in Sub-Saharan Africa. Our goal is to expand capital expenditure such that in another two to three years, Lagos State will become the third largest economy in Africa.